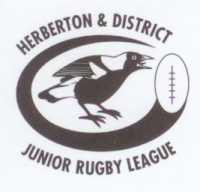 The new junior rugby league season is nearly here this is a new website for the Herberton magpies so parents can be better informed on what they need to know. Alot of maintenance has been going on in the off season thanks to Chippy to make the ground and club facilities the best it can be. top soil on the field, parking area and much more. We will let you know of sign on day as soon as it is arranged but in the mean time you can register your kids online via the link on this page.